When I won at Revlon's nail art from a BDJ event contest last year, they sent me some nail polishes and this lippie as my winning. Technically, this is my first Revlon Colorstay in hand and I love everything about it. The color was great for me. It has a deep, cool-toned berry that has purple undertones. The consistency was thick. The applicator was nice and well designed. This feels very much alike to lipgloss/ lipstains on the market. It has a cream finish and it is not sticky on initial application. It's also highly pigmented and last for more than 3-4 hours. My lips feel pretty hydrated the entire time that I'm wearing these, and I don't feel any drying effects afterward. The Colorstay line has around 12 different shades. Since I only tried this one, I don't know how to compare it with other Colorstay but this definitely is a stand out to other lip gloss and lip stain I tried before. 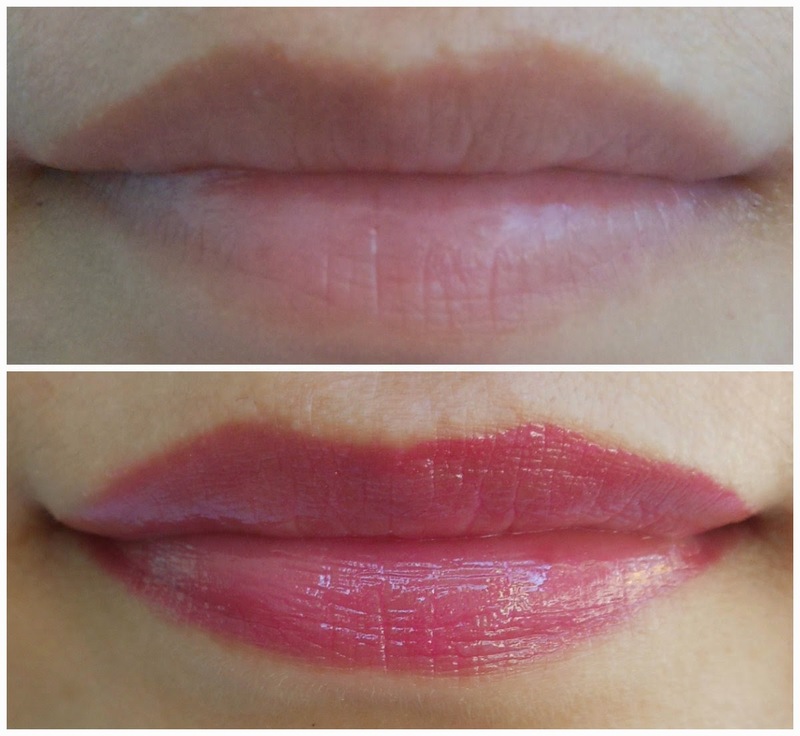 Ultra light creamy lip stain with Vitamin E and Aloe. Moisturized lips without feeling sticky. No dry effect after application. I hope it wears longer than 4 hours. I was actually expecting this to last for more than 6 hrs. How do you find the color? I hope I can get more Colorstay on different shade so I would see if the others better than this. I'm loving Revlon now, really. I hope I'll get more lip products on this brand soon! Nope. We just moved here because my dad got married with my Kapampangan stepmom. Though I know how to speak the dialect. Are you a Kapampangan? We should create a Kapampangan blogger group. What do you think? It is nice to know that there's no dry effect. I seldom wear lipstick but when I do, I apply lip gloss first. The shade is just perfect. It's not so bold but it can stand out. Yep! Guess this was a perfect casual shade for everyone. This is totally a YAY. Revlon is one of the few make-up brands that I like. I hope to check out the other colors soon - excited to see the shades of red. It's nice that you won this one and it's really effective in moisturizing your lips and giving it a good shade. Thanks! I also thinks so! It has a really nice color and I like the packaging! I love the applicator sis. It is shaped for easy application unlike other stain or gloss. I am no makeup expert but this may be a great gift idea for my female friends or relatives. I guess it's great for all women. They will surely appreciate a lipstick. Oh wow the color looks great on you. I like that it's moisturizing. Congrats for winning the item! Lovely lip color. Certainly something which I would personally use Congrads on your win. Do you also have the colorstay line? What shade do you have sis? I'm thinking of getting more on their shades. Every shade is tempting eh! This shade looks perfect on you. I love Revlon Colorstay Lipstick. I wish I could wear all colors. I haven't tried this though. I am a HUGE fan of matte lips, I think they look grown up and sophisticated. About this REVLON with moisture, hmmmm, I am a bit intrigue..maybe my eldest daughter can try this one. Not really a fan of matte though. Or perhaps my collection were only a few when it comes to matte. Nice packaging, so sure magugustuhan ito ng mga nieces ko. It actually depends on my mood I guess. If it's too hot, I just wear a balm or a tint for a little color. If I need to attend events and I want to stand out, I go for a full look. Looks good. Congratulations by the way. One of the best things in lipstick is its ability to stay on lips. Thanks! Yep. I actually thought it would be on the maroon side because of what it looked like outside the bottle. I like the color. I really don't wear lipstick, but I also consider buying one para if ever may occasion hehe. You are one lucky girl talaga sis. I am one lucky, blessed girl sis. :) Yes, you should keep even one in hand for quick touch-ups and occasion. i like the color. not too bright, but not too pale.. It's perfect for everyday activities. Those hours already includes eating and drinking I guess so it's okay. haha! it looks super good! It makes me want to give it a try too. Haven't tried Revlon but this looked nice! Colorstay does stay. Sometimes, it is hard to take it off! Yup! Haha. Even one of my co-teacher said that she doesn't like it that much because of it's staying power. I love the color and it suits you! I love Revlon products, too. You have beautiful lips and shades of pink suits you. As for me, I never am comfortable with pink though I like the color. When it comes to make up, I can only do Earth colors. I prefer Earth colors too. Though I have a lot of different shades of lipsticks and have to try everything.